FRIDAY, Dec. 19, 2014 (HealthDay News) -- Older adults who have lost all their teeth have faster decreases in memory and walking ability than people who still have at least some of their teeth, a new study says. The findings suggest that total tooth loss could provide an early warning of increased risk of physical and mental decline in older people, the British researchers said. 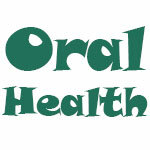 However, the findings don't prove that tooth loss causes the physical or mental decline. The study included more than 3,100 participants 60 and older. People with no remaining teeth did about 10 percent worse on tests of memory and of walking speed than those with at least some teeth, the researchers found. The link between complete tooth loss and mental and physical problems was strongest in people between 60 to 74 years old compared to those 75 and older, according to the study published in the Journal of the American Geriatrics Society. "Tooth loss could be used as an early marker of mental and physical decline in older age, particularly among 60- to 74-year-olds," lead author Georgios Tsakos, professor of epidemiology and public health at University College London, said in a college news release. Tsakos noted that socioeconomic factors, such as education and income, may be the common links between tooth loss and poor physical and mental health. "Regardless of what is behind the link between tooth loss and decline in function, recognizing excessive tooth loss presents an opportunity for early identification of adults at higher risk of faster mental and physical decline later in their life. There are many factors likely to influence this decline, such as lifestyle and psychosocial factors, which are amenable to change," Tsakos said.